The whole team is hard at work on Everend as we enter into our fourth week of development. Coming out of the first sprint, which ended earlier this week, we have made a lot of progress on Everend as a whole. 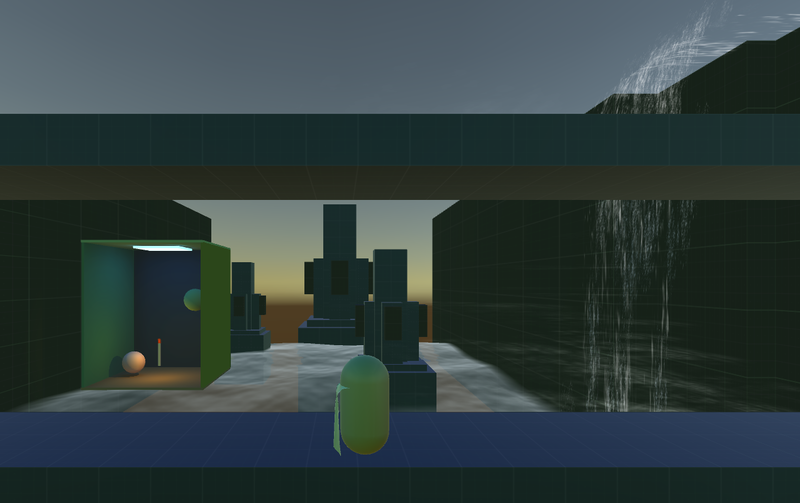 We created a prototype showcasing some of the mechanics that we have already implemented into the game, including character movement, water physics, lighting, sound, simple AI, and the way the in-game camera moves. . Shown is a prototype light-box showing how light will be handled in game. Also shown is an example of a waterfall. Aside from just making the game itself, we also would like to spread the word of Everend for everyone to follow and watch our progress as we create this adventure. That is why during these last couple weeks, a multitude of social media sites have been created to help expand the amount of people exposed to Everend. We want people to look forward to playing our game as it is very rewarding to see how everyone reacts to it. We hope you keep following us as we make this journey and we hope that you will enjoy Everend as much as we already do.